At the ongoing 2017 Gaikindo Indonesia International Auto Show, Honda’s subsidiary, PT Astra has introduced a new special edition version of the sporty quarter litre performance bike, the CBR250RR following the widely popular Repsol edition. Honda played around with a fresh theme called as The Art Of Kabuki which signifies an era of the ancient Samurai warriors. To maintain the exclusivity, Honda will only sell a limited number of 100 units. Priced at Rp 70,825,000 (Rs. 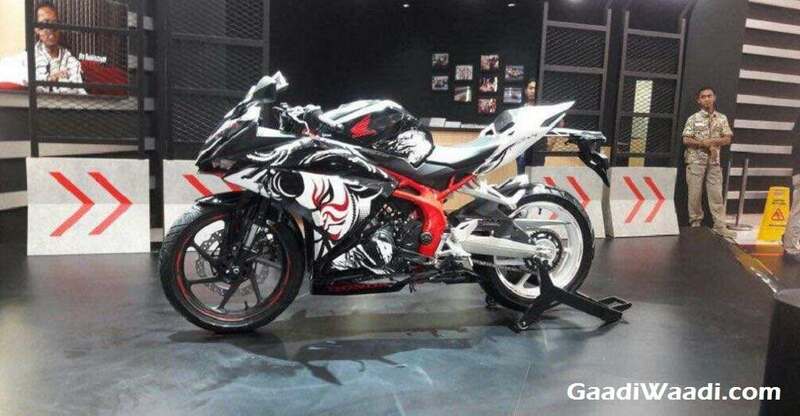 3.40 lakh approx), the limited edition celebrates an year since the CBR250RR entered Indonesian market and has the geographical map of the transcontinental country scribed all over it. The dual-tone black and white paint scheme is emphasised by the red finish on the frame while the split rear seat is painted white with seat bearing same colour. Up front, there is a black wheel while the rear multi spoke wheel adorns white finish. 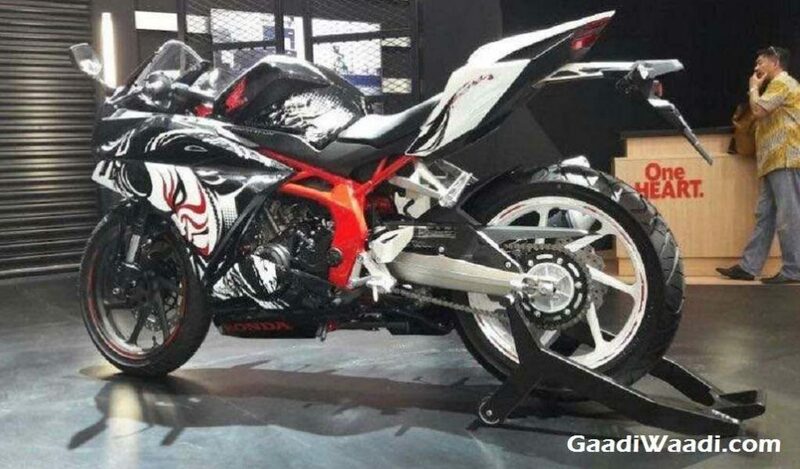 No powertrain changes have been implemented on the special version as it continues to churn out 38.7 PS at 12,500 rpm and 23.3 Nm at 11,000 rpm from the 250 cc PGM-FI liquid-cooled twin-cylinder engine. It is connected to a six-speed gearbox. The CBR250RR comes offered in Indonesia with a host of technologies like the Throttle-By-Wire System with Accelerator Position Sensor for swift response and smoother power delivery. The three different riding modes equipped are Comfort, Sport and Sport+. Like the regular motorcycle, the special edition measures 2,060 mm in length, 724 mm in width, 1,098 mm in height and 1,389 mm in wheelbase. It features a 144.7 mm ground clearance and has 790 mm seat height with the fuel tank capacity standing at 14.5 litres. A twin-piston Nissin caliper is linked with the single 310 mm front disc while a single-piston caliper is fitted to the 240 mm rear rotor.